Help keep style and grace in your kiddos playroom while they learn the importance of staying organized. Made of reclaimed wood that has been taken apart, nails removed and cleaned up to make for a great rustic chic piece. Rough dimensions: 48" W x 48" H x 16" D Item Details: * Can either hang on the wall or set it on the floor * Mirror on the model shown is a french chic style and can be included for additional $20. * Since we are using reclaimed wood, each dress up center is unique! * Happy to use custom dimensions to suit any space you have in mind We offer a limited selection of options to customize the look you'd prefer. 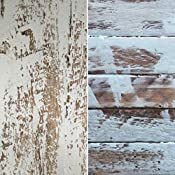 Please indicate the following in the notes when ordering: (1) Wood finish: no finish; white (distressed); light blue (distressed); satin clear coat (2) Mirror option. Would you like the french chic mirror included for additional $20? (3) Copper wire Name art. For additional $20 will customize your kiddos name in copper wire art. Can provide example images on request! **Please allow 2-3 weeks for your item to be designed, constructed, finished and packaged.